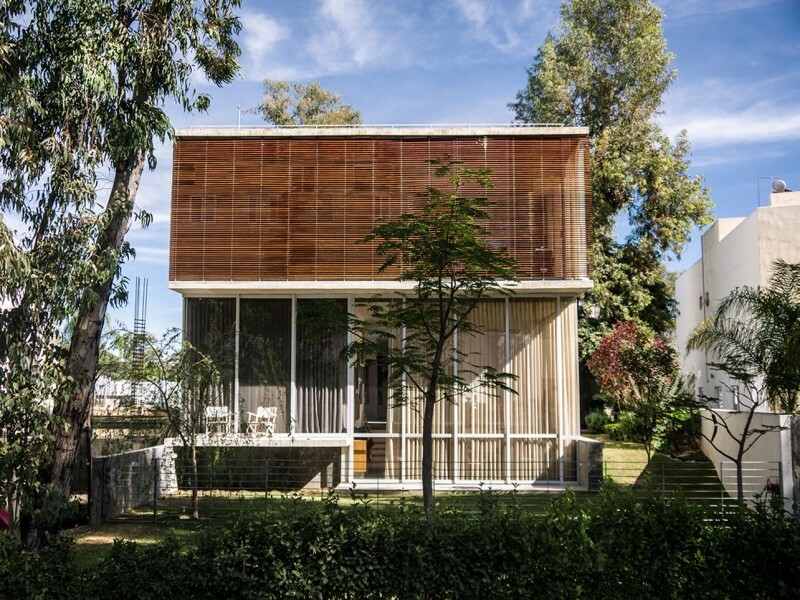 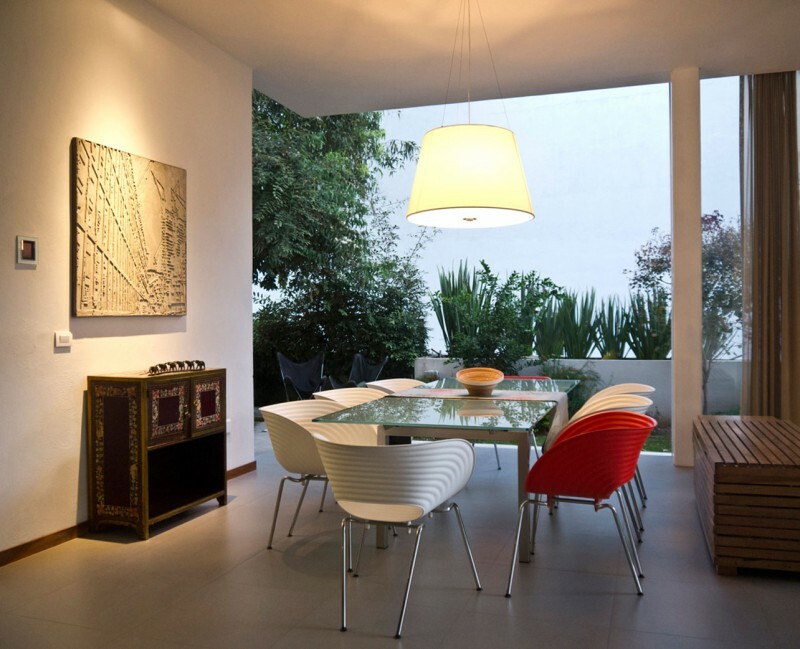 Casa eR2 is located in Zapopan, Jalisco, Mexico and was designed by em-estudio. 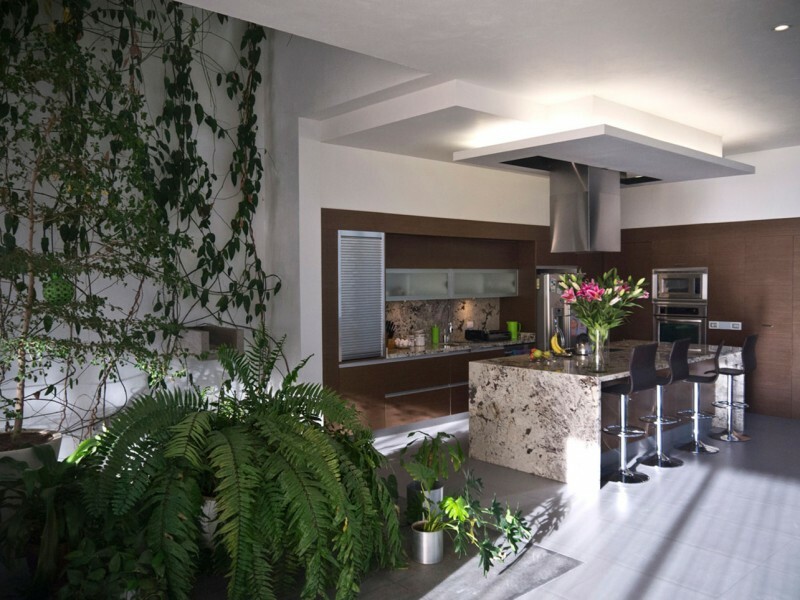 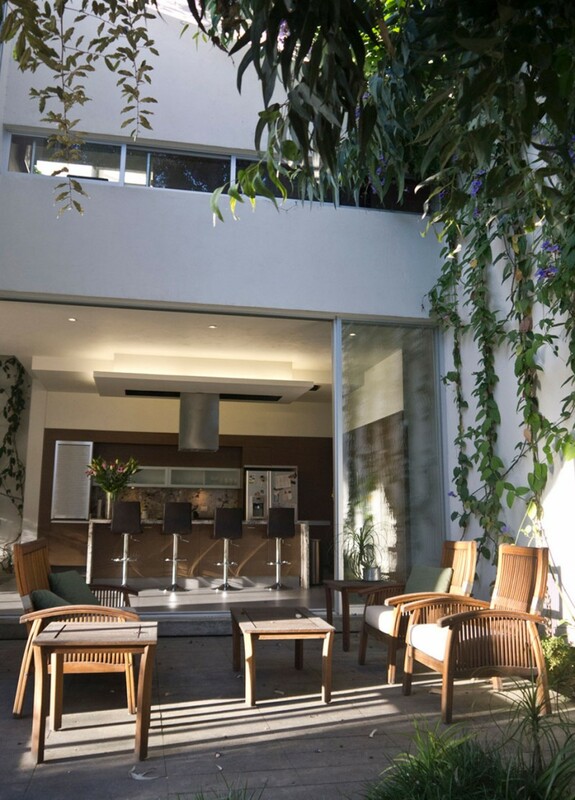 The house’s construction makes an effort to incorporate the outdoors in its interior by having large openings to the outside and the inclusion of lots of greenery. 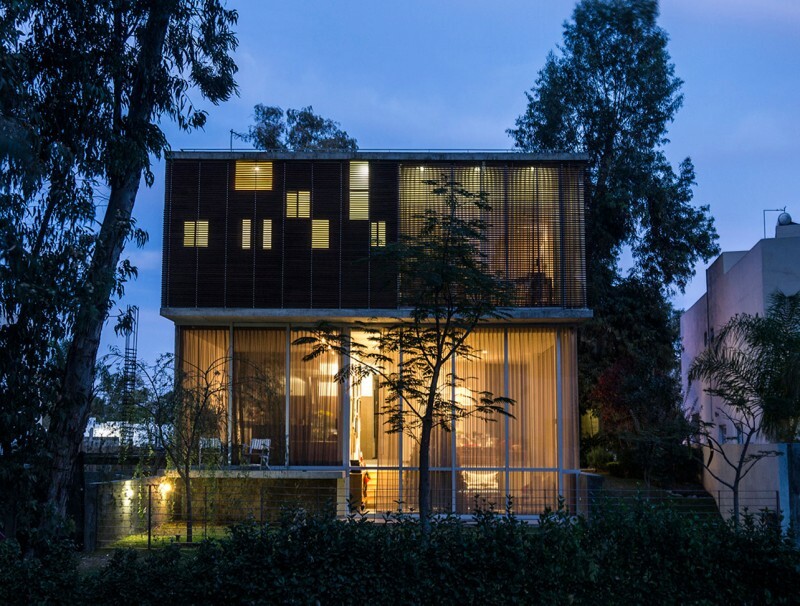 “The project emerged with the idea of taking advantage of the views from the residence to the eucalyptus forest that is located adjacent to the plot. 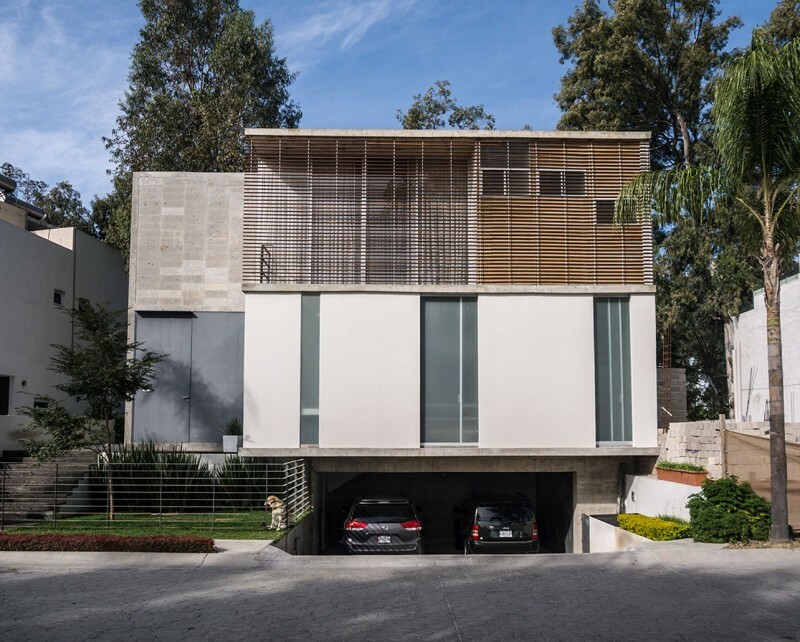 Three slender concrete slabs give shape to the rectangular volume that is the starting point of the proposal. 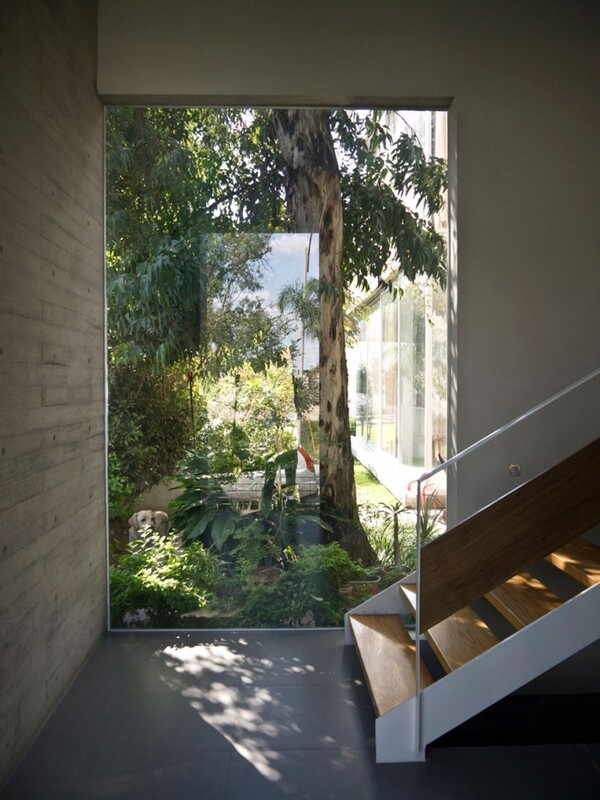 The house sits mid-level above ground to create the space of the garage and have a better view of the treetops. 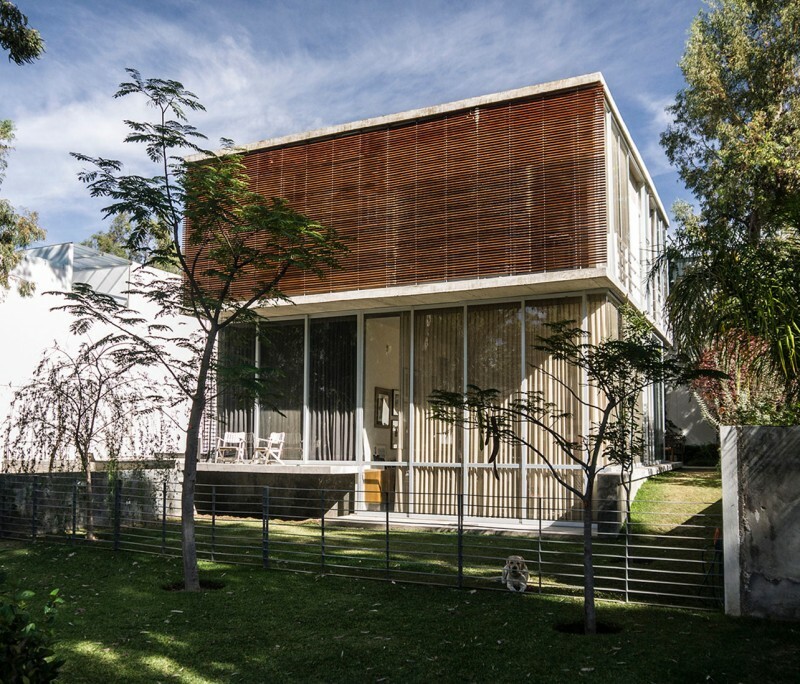 A section is extracted from the volume of the house to create a central patio where an existing Eucalyptus is preserved; and the detached volume generates a body on the side to create the main entrance of the residence. 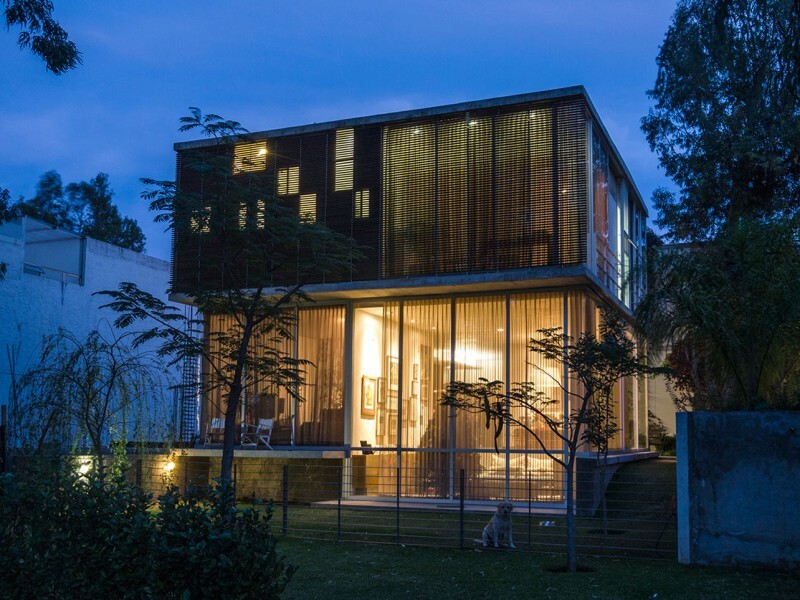 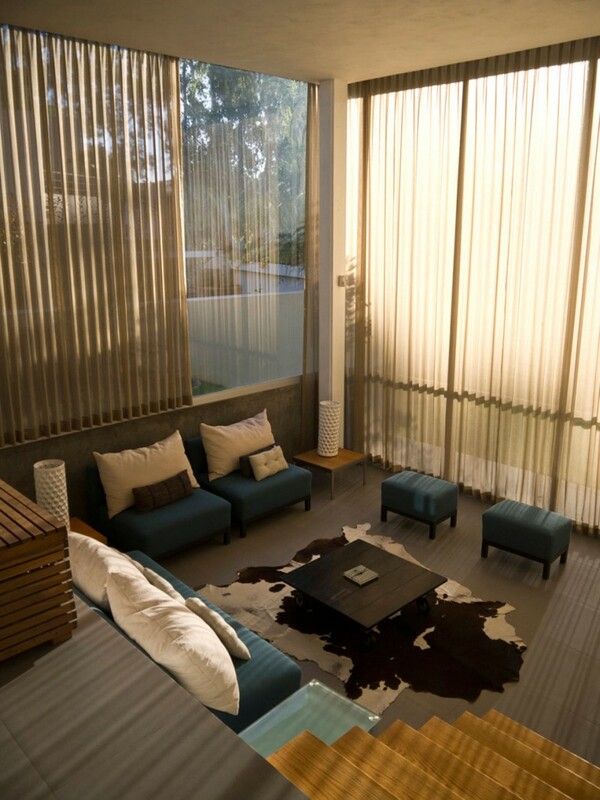 The lower part of the volume, where the public areas of the house are, has a glass skin to have better views of the courtyard and visually expand the space towards the forest. 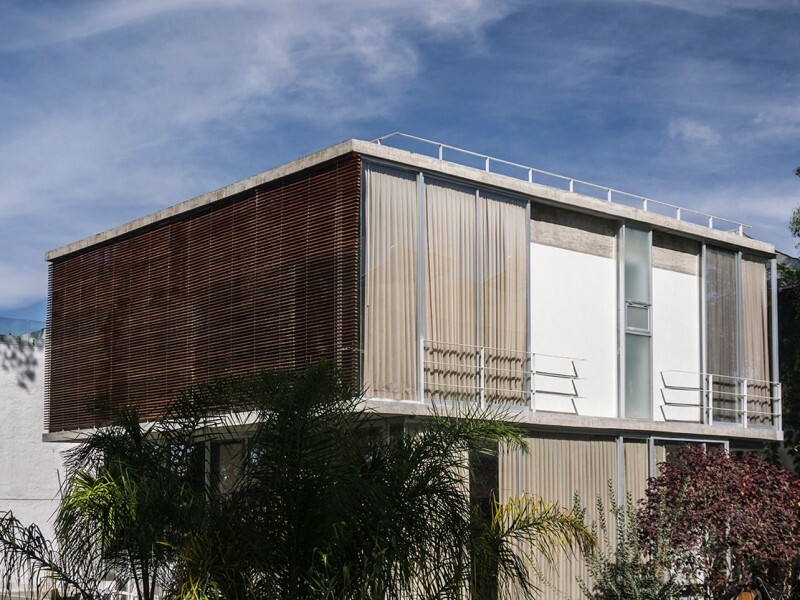 In the top floor the main façades have a wooden lattice to filter the light and protect the rooms from sunlight without losing the view.